“Mortal Kombat X” is the latest title in an iconic fighting game franchise, developed by NetherRealm Studios for PC and consoles. I was really excited when the game was initially announced, because this is a franchise that I have fond memories of and which I’ve been playing since I was a child (even though the age certificate said I shouldn’t be). I remember playing the game with my brother when I was younger, jumping around and mashing the buttons, trying to get a win however I could. Now that I’m older I can appreciate the mechanics and the systems that are in place in these types of games, so rather than mashing the buttons together I see the value in practice and linking my attacks together. This game facilitates that type of gameplay, and there’s a lot of depth to the combat. Attacks feel powerful and vicious, and although some characters are laboured in their movements, when you manage to get an attack in it will really feel as though you’re causing damage. NetherRealm are the studio that was responsible for 2013’s “Injustice: Gods Among Us”, and that’s clearly apparent when playing this game, because there are a lot of similarities in storytelling and stage design. NetherRealm have created a visually striking game with detailed combat, and in my opinion “Mortal Kombat X” is the most impressive edition of the series in terms of both graphical fidelity and fighting styles. However, it fails to hit the mark on a number of levels, because it doesn’t really do anything new and feels extremely derivative. It feels more like an “Injustice” clone than its own game, and the new characters do nothing to quell that feeling. The graphics are excellent; characters glisten with sweat and blood after each fight, and their bodies react to each punch as if they truly were alive. After you’ve gone through a battle the characters don’t suddenly revert back to their character models, they’re battered and bruised, so you can tell that they’ve been in a fight. The environments are varied and detailed and everything looks really impressive. This attention to detail really matters when you’re playing a game that belongs to such a prestigious franchise, because it would feel very similar to its past iterations if the updated graphics didn’t set it apart from the rest. The combat is initially clumsy, as you attempt to learn each character’s individual move set and understand the systems that the game has set in place. However, once you’ve played the game for a couple of hours you will move beyond this initial barrier and everything will make sense. Each character has their own individual set of attacks, but these attacks are often utilised by pressing the same buttons in sequence as you would with another character, so once you understand how to use one kind of character you’ll be able to control others of the same type. The game is designed in such a way as to be accessible to both casual players and more skilled individuals, because you can throw a fireball or perform a combo without having to put in hours of practice, but you can also learn how to link moves together more fluidly if you spend time in the training arena. Either way the strikes you perform feel significant, so you can feel the brutality of the combat regardless of whether or not you want to fully sink your teeth into the game’s mechanics. I’m currently at an impasse between these two points, because with certain characters I am beginning to fight confidently and string together combos, but with others I’m still an amateur and struggle to beat the computer on Medium difficulty. My biggest issue with the game is that it feels wholly unoriginal. The developers had the difficult task of bringing something new to the genre whilst also remaining faithful to the franchise and its tropes, and although they have attempted to do that by introducing a host of new characters and interactive environments, they haven’t quite achieved the heights that I had hoped they would. The new characters are handled with the same level of care in terms of design and detail as every other character, and in fact, Kotal Kahn and D’Vorah are two of the most visually striking characters in the game. However, many of the newly introduced characters don’t feel as satisfying to control as veterans of the series like Raiden and Scorpion, so although they are a breath of fresh air, you won’t find yourself choosing to fight as them when you’re outside of the story mode. D’Vorah is the exception to that statement, because she really is one of the quicker and more interesting characters in the game. You can control the fight from a distance with her or get in close, and she remains one of the only combatants that I am yet to lose with. The addition of the new characters has meant that NetherRealm have abandoned some of the old guard, due to the fact that they didn’t make it to the end of the last game’s story. That would make perfect sense if these characters weren’t a part of this game’s story, but that’s not the case. “Mortal Kombat” legends like Baraka and Sindel are in the game, and they have move sets because you fight them in the story. I don’t understand why they aren’t playable and it feels like a real kick in the teeth when you know that they could’ve been, because if they’re there then they should be available, even if that availability is limited to one on one matches. The interactive environments were one of the most interesting features of the game for me before I purchased it; I was looking forward to picking up a tree branch and using it as a weapon, or perhaps crashing through a wall to find a completely different area in which to fight. Sadly this feature is only superficial and it doesn’t change the way that you play the game. If you use an object as a weapon against your opponent it’s nothing more than a momentary blip, akin to a solitary punch or kick, which is a real shame. I was hoping that when you picked up an object it would remain on your person throughout the fight, meaning that you could press a particular button to use the weapon throughout the rest of the battle. At the end of the day, this feature is something that NetherRealm has taken from “Injustice” and pasted into “Mortal Kombat X”, and as a result it feels neither interesting nor necessary. The game has several modes which are created to establish longevity, because this type of game can often be forgotten after just a few hours. The story mode, if you’re like me, will take up the majority of your short time with the game. Not all games of this ilk have stories; many of them simply give you an array of characters and leave it there, so it’s a positive feature of this game that it offers something more than other games of the same type, such as “Killer Instinct”. I enjoyed playing through the story and I think it adds something important in a game like this, because the way that it’s designed necessitates that you learn many of the character’s move sets. There are twelve chapters, and each one focuses on a different character that you are forced to control, so you’re going to become accustomed to how they need to be handled. The story mode also provides details on all of the new characters within the game, and it does its best to make you feel invested in them, which is important for the franchise going forward. Characters like Cassie Cage will be a big part of “Mortal Kombat’s” future, so it’s imperative that players are aware of their part in the lore and like their move sets, and the story does its best to make that the case. Nevertheless, the positive aspects of the story are marred by the writing, because “Mortal Kombat X” suffers heavily from idiotic dialogue and a confused tone. The stakes are high for those in both the Earthrealm and the Outworld, so when certain characters are cracking wise or engaging in petty squabbles, you struggle to take it seriously. Additional features in this game include Living Towers and Faction Wars, which are clearly intended to keep the player invested once the story mode is over. However, in my opinion these features offer nothing to the game when considering that one on one fights are available anyway, either against the computer, a friend, or a stranger online. The Living Towers are designed to test players against a selection of the roster, with the characters you face being dictated by whatever hour, day, or week it happens to be. Personally, I don’t see the appeal in this feature, because you can choose a character, an opponent, and a difficulty at any time via the one on one match mode. You don’t need someone else to do this for you, so the inclusion of these towers feels a bit pointless. Faction Wars aren’t a bad idea, because you belong to a group which makes you feel like your efforts matter, but at the moment these factions are unbalanced, with a large majority of players opting to fight for Lin Kuei. This takes the fun out of the mode completely because that group will win regardless of your efforts; unless you join the majority this addition to the game feels like a bit of a joke. 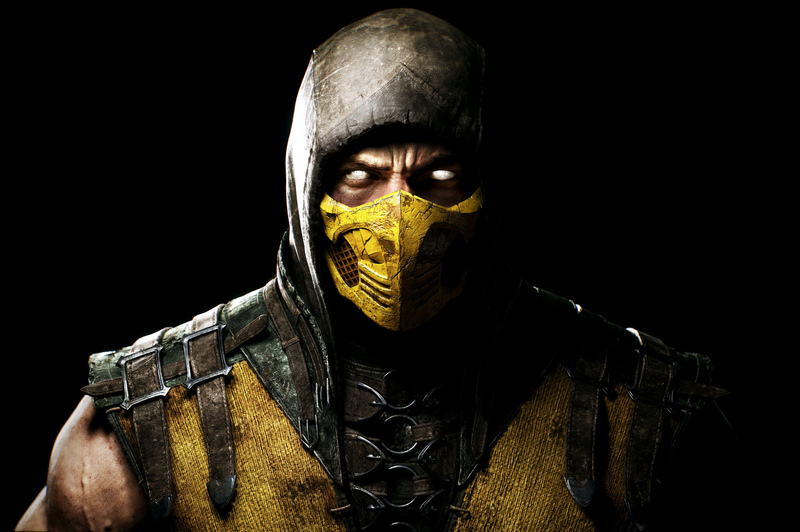 There’s one feature of “Mortal Kombat X” that gets more attention than any other – the fatalities. There are people out there that don’t like these finishing manoeuvres, whether it be because they’re glorified cut scenes, or because they are overly gory. In my opinion, they set the game apart, because they’re a bit of fun at the end of a match and they’re very inventive. I don’t think that anyone can complain that a game called “Mortal Kombat” has vicious murder at the end of a fight, because it’s right there in the title, and I also don’t think it’s a fair criticism to say that they’re unnecessary cut scenes, because you don’t have to initiate them, and if you don’t want your opponent to use them then maybe you shouldn’t have lost the fight! “Mortal Kombat X” is a visually stunning game and it’s a lot of fun to play. The combat has depth if you are willing to learn the game’s mechanics, but this isn’t required to get through the story mode or to enjoy the experience. For a short period of time it’s a great game, but the problem I have is that there’s nothing pulling me back in. I’m not a person that enjoys playing games online, because most of the people you end up playing either have a terrible connection or they’re just insufferable as human beings. As a result, the only reason I have to carry on playing is to perfect my skills through the Living Towers, but I don’t really want to do that because I’m not working towards anything. “Mortal Kombat X” is a good game and it gets a lot of things right, but ultimately it doesn’t bring anything new to the franchise or the genre, and for between £45-£55 I’m not sure that it’s worth the money I paid.